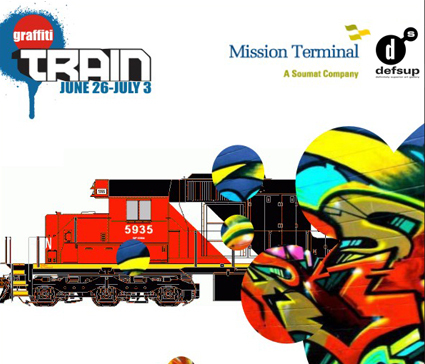 GRAFFITI TRAIN: Definitely Superior Art Gallery’s young-blooded art collective “DIE ACTIVE,” have taken on yet another large urban art painting project, this time a train locomotive, supported and sponsored by Mission Terminal Inc. Designed and executed by Die Active Youth, following mentorship workshops and training at Definitely Superior Art Gallery. For updates and the big Reveal Party-check Die Active’s facebook.